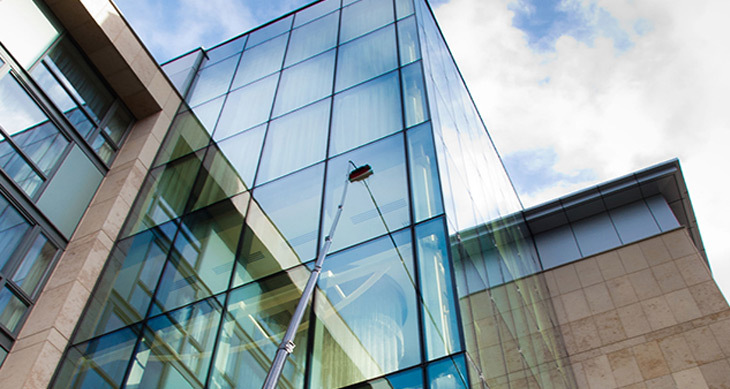 Our skilled technicians provide fast, dependable service and are capable of providing clean windows to a wide variety of buildings with a max working height of 27 storeys. 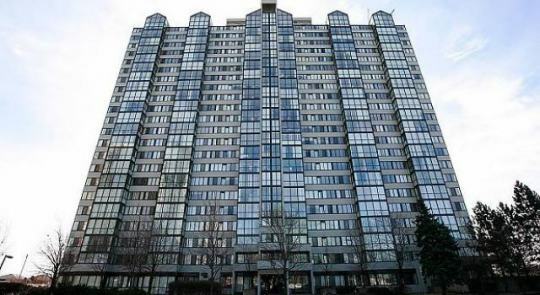 Our experience is vast, providing window cleaning for housing complexes, churches, condos, commercial buildings, industrial buildings, and more. Contact us today for a free estimate and discover why NICK’S Window Cleaning is one of Ontario’s fastest growing commercial window cleaning company. 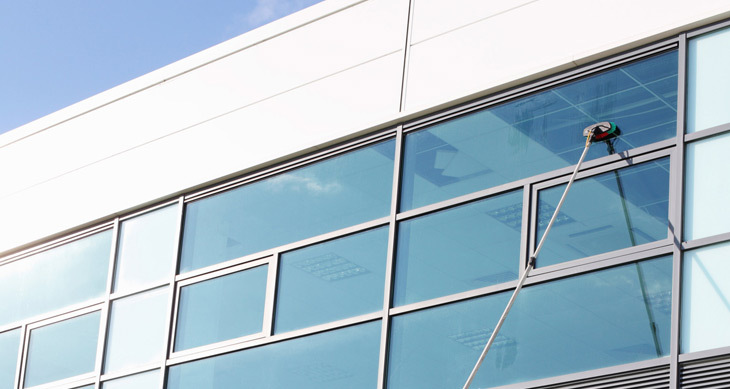 Commercial window cleaners NICK’S Window Cleaning provide you with a fast, effective, and affordable window maintenance plan that meets or exceeds your needs and expectations. We pride ourselves on our quality service and personalized plans, which can help you keep your business looking its absolute best. Our workers are insured, well-trained, experienced, and friendly. Not only are they all amazing at their jobs, they are sure to leave you happy and satisfied. We clean windows on a wide variety of properties; housing complexes, apartment buildings, churches, office buildings, and more. Contact us for details and we will provide you with fast, effective service. Commercial window cleaning is important for businesses that operate brick and mortar shops or offices. Having dingy or dirty windows makes a bad first impression and can be a real turn off to customers. But most business owners don’t have time to be cleaning windows on their building often. 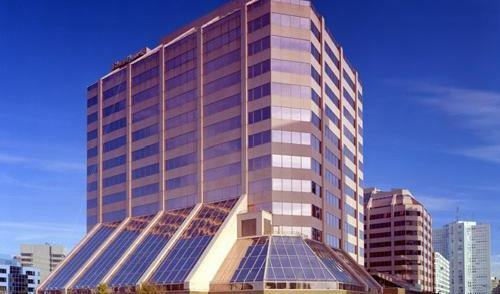 Hiring a professional window cleaning crew is a great investment that will make your business more appealing. When customers or potential clients walk by your building they notice the condition of the building and how the windows look. If the windows are clean it is more inviting to customers and clients and it makes a much better first impression. Impressions count, especially when attracting customers or clients. Window cleaning may seem like an unimportant detail but all of those small details matter when customers or clients are assessing a business. If you have window displays of merchandise keeping the windows cleaned will really make those displays stand out. If people can’t clearly see the products in the window they’re not going to come through the door to buy them. Clean and sparkling windows make window displays more appealing and attract customers. Hiring a professional window cleaner is the best way to make sure your windows look great. Professionals have commercial grade cleaners and the right equipment to get large windows clean and shining without leaving streaks or smudges. And commercial grade cleaners also will seal windows to repel dirt, fingerprints, and smudges. Clean windows don’t just attract customers and clients. Having clean windows shows that you take pride in your business and that you pay attention to the details. That’s why having clean windows all the time is so important for a brick and mortar business. The best way to keep your windows looking great is to get regular professional cleaning service. Professional cleaners will do the best job keeping your windows clean because they have experience and better quality products and tools. If keeping your windows clean and making your business look more inviting to customers is something that is important to you it’s worth the cost to hire a professional window cleaning service.